Hailed as one of the great photographers of our time, Frans Lanting has documented the natural world for more than four decades. From the Amazon to Antarctica, he uses his camera as a powerful tool for promoting a public understanding of the incredible scope of life on Earth. His stunning images convey a passion for nature and a sense of wonder about our living planet. In this talk, Lanting will present his work as an ongoing dialogue with the natural world. 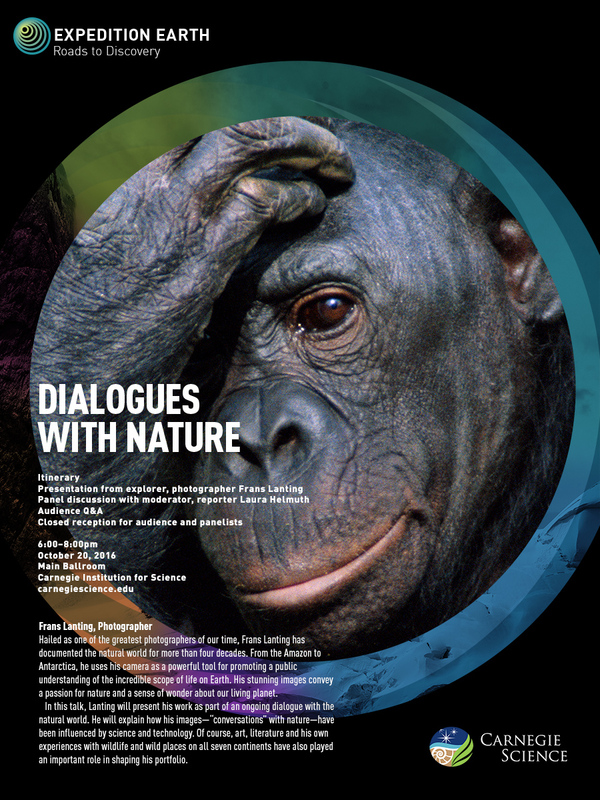 He will explain how his images -- "conversations" with nature -- have been influenced by science and technology. Of course, art, literature, and his own experiences with wildlife and wild places on all seven continents have also played and important role in shaping his protfolio. Following the talk, enjoy a panel discussion moderated by Washington Post Science, Health, and Environmental Editor Laura Helmuth. Panelist include the Director of the Smithsonian Center for Conservation and Sustainability, Francisco Dallmeier, and the President of the Carnegie Institution for Science, Matthew Scott. Join in the discussion during an audience Q&A. Following the program, mingle with Frans Lanting and Laura Helmuth during a private reception. Tickets are priced at $10 per person and will include access to a post-program reception with Frans Lanting, Laura Helmuth, Francisco Dallmeier, and Matthew Scott. Enjoy one free beverage with your ticket. Cash bar available. 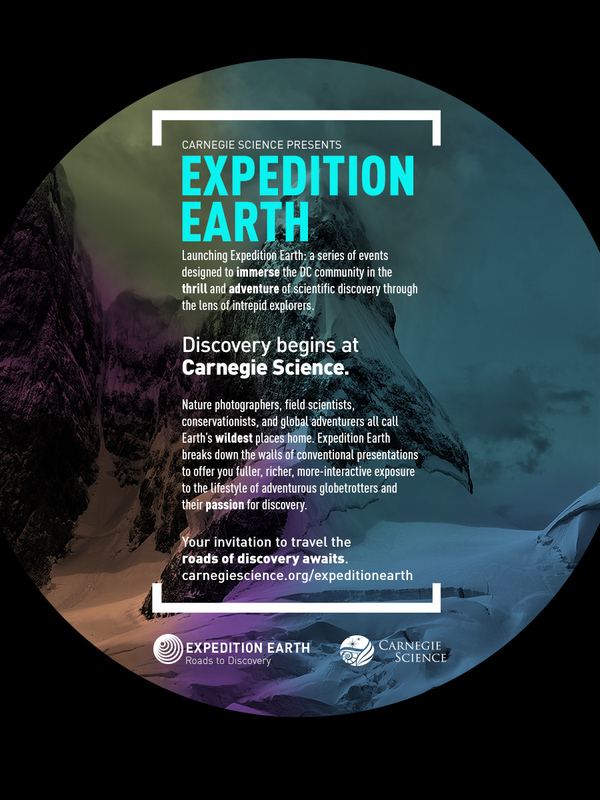 Launching Expedition Earth: a series of events designed to immerse the DC community to the thrill and adventure of scientific discovery through the lens of intrepid explorers. Discovery begins at Carnegie Science. Nature photographers, field scientists, conservationists, and global adventurers all call Earth’s wildest places home. Expedition Earth breaks down the walls of conventional presentations to offer you fuller, richer, more-interactive exposure to the lifestyle of an adventurous globetrotters and their passion for discovery. Your invitation to travel the roads of discovery awaits.